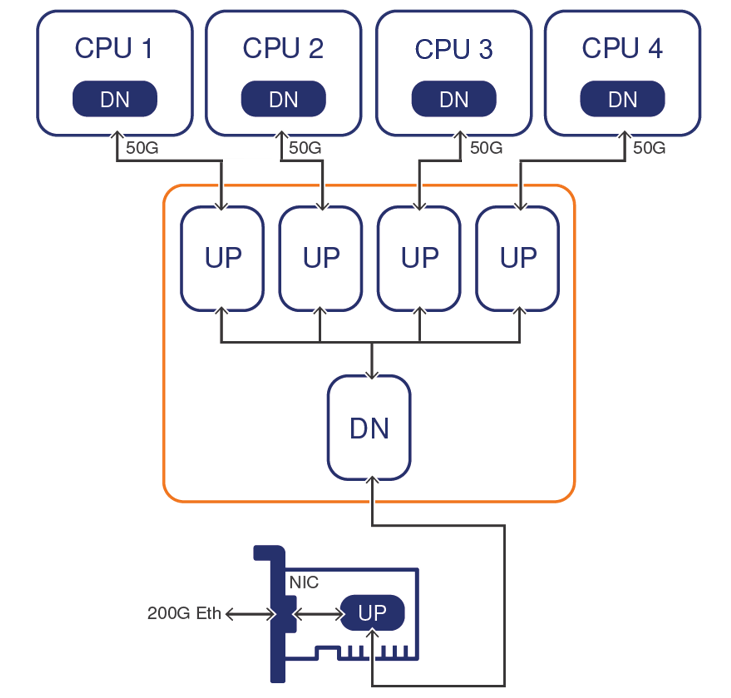 XpressSWITCH-MRB is a customizable and fully configurable Fabric Switch IP for PCIe designed for ASIC and FPGA implementations that enables high-performance communication between multiple hosts or root complexes and one or more devices or endpoints. XpressSWITCH-MRB is a self-contained Fabric Switch IP implemented entirely in RTL logic; it does not require any external Fabric Manager or Management Host nor does it implement any embedded CPU. Once configured via the integrated Fabric Manager, the PCIe Fabric Switch IP enables sharing of every endpoint resources such as PFs or VFs among all available hosts, using device drivers natively provided by the Operating Systems running on each host. XpressSWITCH-MRB optionally implements Non-Transparent Bridging (NTB) functionality, allowing every host to communicate with each other and to support failover mechanisms. By implementing XpressSWITCH-MRB into their SoCs, designers have a flexible, configurable, self-contained solution for PCIe Fabric switching with multi-host to multi-device connectivity that is ultra low latency, low power, and O/S and platform agnostic. Contact us for IP availability. 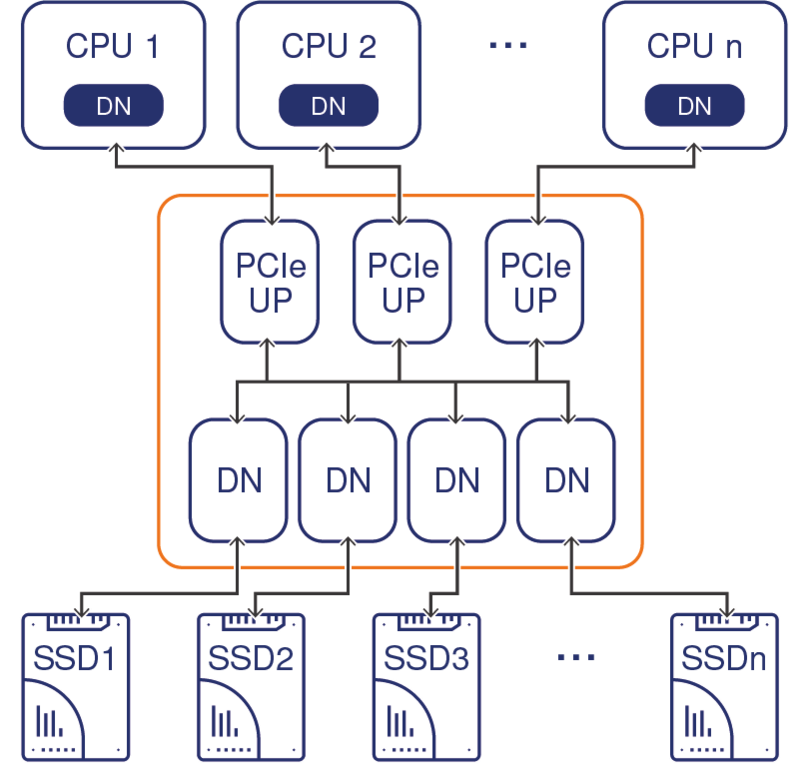 XpressSWITCH-MRB can be used in a variety of applications, including but not limited to, sharing of NVMe SSDs across multiple Hosts or sharing of network bandwidth (NIC sharing) across multiple Hosts.